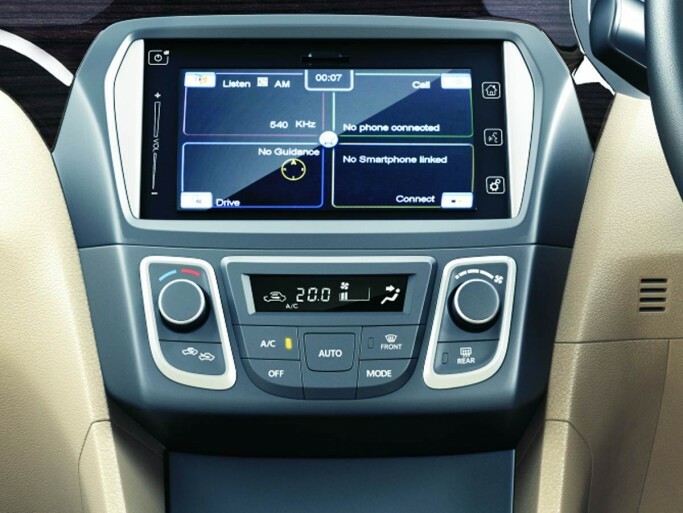 Maruti Ciaz boasts of best-in-class cabin space and comes loaded with features and creature comforts. 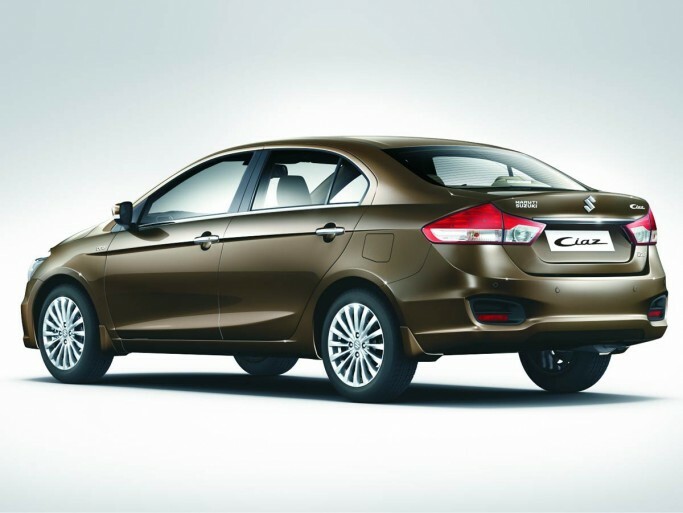 Maruti Suzuki has officially launched its latest sedan, Maruti Ciaz in the country. 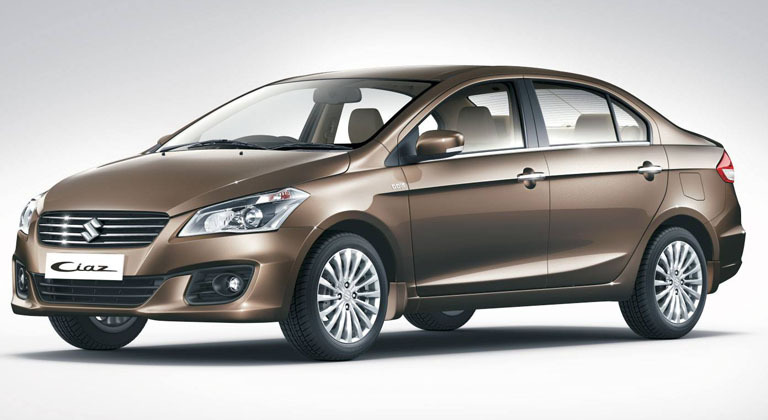 With a starting price tag of Rs 6.99lakh, Ciaz is a replacement of Maruti’s underperforming SX4. Available in both petrol and diesel engine variants, Maruti Ciaz boasts of best-in-class cabin space and comes loaded with features and creature comforts. 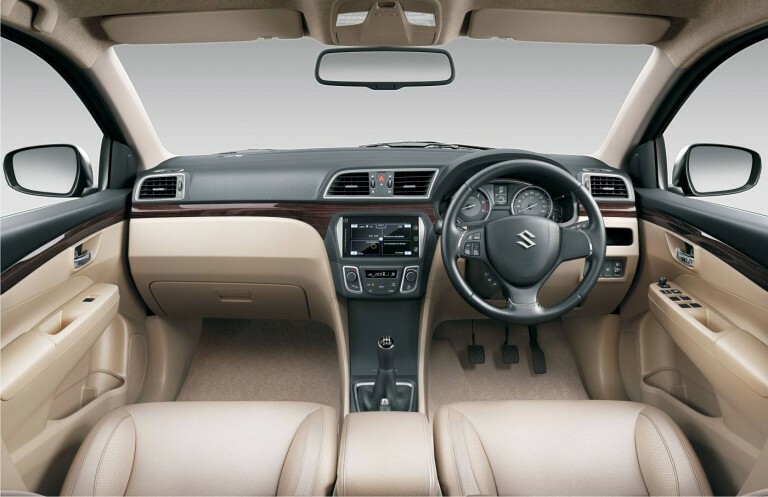 The base variant V of Ciaz gets tilt-adjustable steering wheel, projector headlamps, rear AC vents, electrically adjustable mirrors with integrated indicators, 2-Din music player with Aux and USB compatibility and fabric upholstery. The next trim V+ has ABS, EBD, driver-side airbag, automatic climate control, height adjustable driver-seat, parking sensors and steering mounted audio controls. The Z gets chrome door handles, passenger airbag, 15-inch alloy wheels, reverse parking camera and rear sun shade. While the top he top-end variants, ZXi+ and ZDi+, comes with 16-inch alloy wheels, leather upholstery , leather wrapped steering wheel and Smart Play infotainment system in addition to the features offered in the third variants. The petrol variant is powered by a 1.4 litre K Series petrol engine that gives 95 PS power at 6,000 rpm and 130 Nm peak torque at 4,000 rpm. While the 1.3 litre Multi-jet diesel delivers 90 PS at 4,000 rpm power and 200 Nm peak torque at 1,750 rpm. Petrol Ciaz returns a fuel economy of 20.73 kmpl and while the diesel variant gives 26.21kmpl. 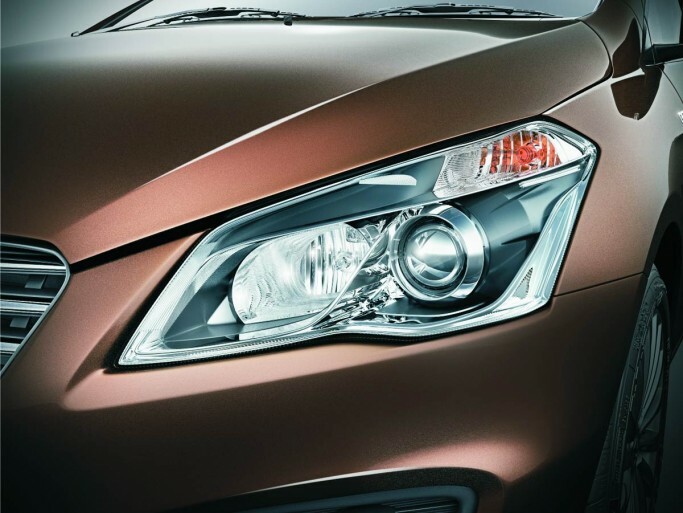 The new Maruti Ciaz sedan is available 7 colours– Pearl Snow White, Pearl Sangria Red, Pearl Metallic Dignity Brown, Metallic Silky silver, Metallic Glistening Grey, Pearl Midnight Black and Metallic Clear Beige.